After uploading its Weather app on the Google Play Store, OnePlus silently made another of its apps available for download via the digital store. The OnePlus Launcher is available to those who own OnePlus smartphones only, so if you're faithful to another brand, then you won't be able to take advantage of what it has to offer. The release in the Google Play Store is meant to allow the developers to provide OnePlus Launcher users with timely updates that usually add new features and improvements, as well as address any issues reported. For those who've never used it, the OnePlus Launcher features support for a broad range of icon packs, which can be changed with a tap of a button. Besides the default icons, OnePlus Launcher users can download hundreds from the market. The launcher allows users to take advantage of preset gestures to execute various actions like search or getting quick access to notifications. Overall, the OnePlus Launcher has a high rating on the Google Play Store with 4.7 stars out of 5, which suggests the Chinese company had outdone itself. Pity that it won't come to other smartphones besides those launched by OnePlus. Oh damn! This caught me off guard...time to try it out. 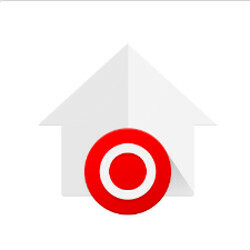 Why the target logo ? Apparently it isn't complatable with other OnePlus devices. I have a OnePlus 2 and I can't find it in the Play Store, and when I use the Play Store link from this article, it says that none of my devices, including the OnePlus 2, are compatible. No thanks, didn't like it on the OnePlus 3. ...on your $50 Walmart prepaid burner phone that will never see updates.